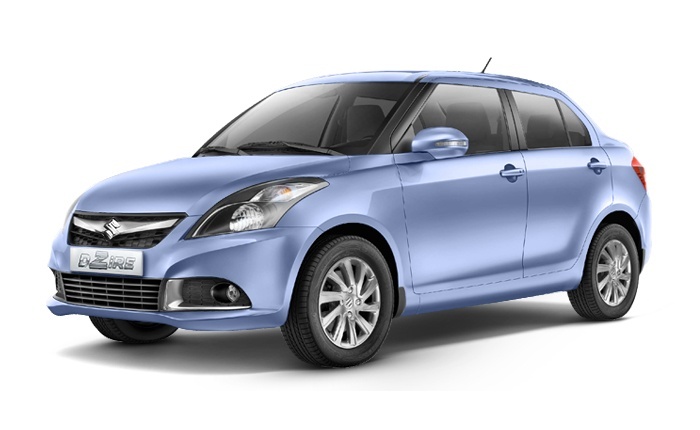 The Swift Dzire has been the highest selling 4-meter sedan in the country for a very long time. With the launch of the all-new Dzire, the makers of the car, Maruti, plan to hike the sales of the car even more. The popularity of the car had increased much in recent times as not only private car users, but even app cabs like Ola and Uber are using this model of car. The new car looks fresh and fancy and a slew of safety features have been added to the previous model. The sedan comprises almost 50% of the sedan sales in the country. Earlier, critics were of the opinion that the Dzire looked more of a hatchback with a boot attached. Hence, an attempt has been made to give the car a more coherent look of a sedan in its entirety. There is also an attempt to reach out to the younger customers with a sleeker look. The overall length of the car has remained unchanged because it has to be under the 4 meters limit to be able to enjoy subsidies. The new Dzire is, however, based on a new Heartect Platform, because of which it is now wider, has a larger boot and also longer wheelbase. The height has been reduced slightly which helps it to look longer. As a result, the seat height is also reduced by 21 mm. It has also made the car quite lighter because of which it would increase the efficiency of the car. The entry of similar cars like Volkswagen Ameo, Hyundai Xcent and Ford Aspire has made it imperative that the Dzire received a makeover as well to stay ahead in the competition. The compact sedan is using the same engines as before though. The petrol variants of the car are being powered by a 1.2-litre, 84.3 PS, 4-cylinder, K-Series Suzuki petrol motor like it was previously. However, in the new model, the power and the torque have reduced slightly- by 1 PS and 2 Nm respectively. The older model also had a 4-speed single-clutch automatic, whereas, in the new model, the car is fitted with a 5-speed AMT. However, a lighter car, a simple AMT gearbox, along with the slightly reduced engine performance, has resulted in increasing the mileage of the car. The manual variant of the car has increased in mileage by 1.15 kmpl while the AMT variant of the car has increased by 3.5 kmpl, which is commendable. As with the petrol variants, the engines of the diesel variants of the car have also remained unchanged. The same 1.3-litre, 75 PS, 4-cylinder, turbocharged Fiat-sourced motor is also being used. As a result, the power and the torque of the car remain unchanged. And as with the petrol variant, both the manual transmission as well as the AMT variant of the diesel Dzire has increased by 1.81 kmpl and more. Like the older version, the new Dzire also comes with dual airbags and ABS, which is a standard across all its models. However, there have been some compromises made on safety with regards to the Dzire LXi and LDi models. There have been inclusions like safer front seat belts and ISOFIX anchorage points, but it loses out on a number of standard features like central locking system, front power windows and adjustable front headrests. The models are also about Rs 9000 cheaper. On the other hand, with just a nominal increase in the price of about Rs 2000 to Rs 7000, the V variant gets quite a few updates. There are features like rear AC vents, height adjustable driver seat and a Bluetooth compatible multimedia system, along with electromagnetic trunk lock. The Z+ variants have mostly received makeovers in terms of looks but what makes them noteworthy is the presence of the 7-inch infotainment system and the reverse parking camera. According to experts, these features could have been included in the Z variants as well because the Z+ variants have a steeper price with an increase of about Rs 89,000. On the other hand, the LDi variant costs about Rs 9000 more in spite of losing a few features that were present in the older version. The ZDi and the ZDi AMT are cheaper, and the latter is almost at par with a Ciaz. In terms of looks, there have been quite a few changes made to the model as well. The single thick chrome slat is gone and is replaced by a broader chrome grille with horizontal slats. The bumper has also been redesigned to accommodate fog lamps. The headlamp unit, which was quite big and had a wrap around design had been changed for more subtle designs that have integrated LED daytime running lamps. Auto LED projector headlamps have also been added. The plain hood gives a smoother appearance. From the side, the turn indicator integrated ORVMs have been added. In the interiors, the instrument cluster looks good and is a cue from the original Swift with the double pod cluster design. The analogue dials and the digital MIDs are located here. In terms of dimension, the wheelbase is now longer by 20mm. That has led to the availability of more space inside the cabin. The knee room at the rear is also higher by 40 mm. The ground clearance has reduced by 7mm and currently stands at 163 mm in the new version. The tyres have also received a facelift with a two-tone 15-inch multi-spoke alloy wheel. There have been some changes in the rear profile as well, with LED guide lights in the redesigned tail lamps. A thick chrome strip has made its place on the boot lid and the rear bumper has received a number of reflectors. The high mount stop lamp now has a flat design and has LED lights. As far as the choice of colours is concerned, the buyers can have their pick from Oxford Blue, Sherwood Brown, Gallant Red, Magma Gray, Silky Silver and Arctic White. The compact sedan category is now facing some stiff competition as the Xcent and the Tigor have also made their way in the Indian market. The new Dzire is trying to give the users are better to experience and hence has now brought in an advanced infotainment system with Apple CarPlay support, along with Android Auto, navigation system and MirrorLink. Further areas of convenience include AC vents in the rear section, climate control and reverse parking camera with sensors. Just by the aircon vent, a charging socket and a phone holder has been added. The steering is flat bottomed with burl wood touch and is a touch of luxury. The boot space currently stands at 376 litres which are higher than its predecessor by almost 60 litres. The added features will result in an increase in cost by around Rs 30,000 to 40,000. The petrol MT weighs around Rs 860 kg and for the petrol AMT version, it weighs around 895 kg. The diesel MT weighing scale is 955 kg and the diesel AMT is 990 kg. The new Dzire is definitely sleeker and the maker’s attempt to cater to an upmarket customer base just might pay off. As one of the most successful cars from the brand, the makers have tried to fill in all the gaps there were left behind by the earlier model. The 2017 model is definitely more upbeat and be it the hint of luxury in the car upholstery or the sleeker exteriors, the Dzire is surely hitting all the right punches to become the most desirable car all over again. As far as the care and maintenance of the car are concerned, there isn’t much difference on that front. The latest version promises improved performance and taking it out on the highway would prove to be easier because of the improved mileage of the car. Those who have already used the earlier model as well as tried on the new model have expressed satisfaction with the 2017 version. The makers are also aiming to improve their customer service to cater to the new line of customers who might have not used the 2015 Dzire but are lining up to the buy the newer version. 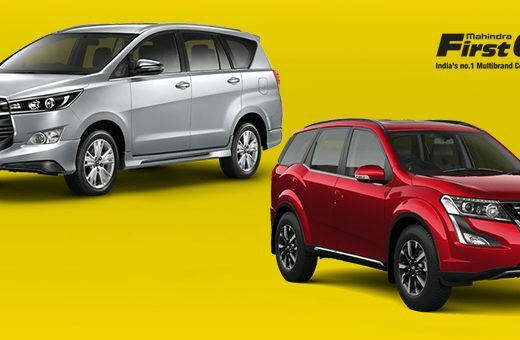 Innova Crysta or XUV500- Which One Should You Pick?